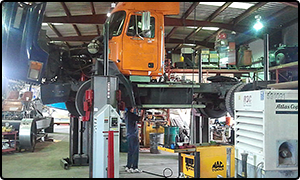 Russ Diesel repairs light and heavy duty diesel trucks, RV's, power generators and pumps. Over 30 years of Professional service in South Florida. 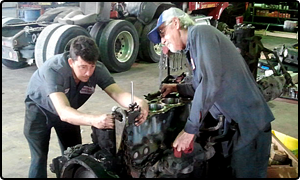 We are diesel engine specialists in business in South Florida since 1982. Our shop is centrally located in Fort Lauderdale, FL inside Port Everglades. 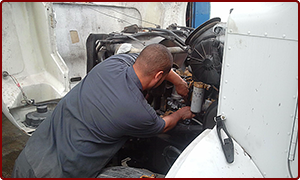 We have a fully insured staff of 10 mechanics with 6-service trucks to get the job done. We offer 24/7 road service and can usually arrive in one hour or less in our service area. 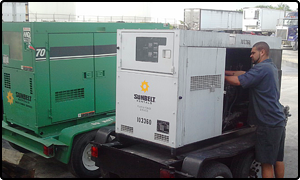 We offer fabrication and welding services as well as refrigeration repairs to refrigerated trailers. We offer special plans for large fleets including personal staffing at your fleet, pm services, road service and much more. We are looking forward to serving your company's' needs.